At what point, exactly, does credibility snap? When does the difference between what we are told, and what we observe, reach such a state of dissonance that it is no longer possible to believe both. Sometimes it seems the answer is ….never. Here is one example. The clinical trials on statins found that they have virtually no adverse effects. Or, to be a little more accurate, that adverse events were virtually identical to placebo. Here, for example, is part of the press release from the Heart Protection Study (HPS).This was the last major placebo controlled statin study done in people with already diagnosed cardiovascular disease. Teasing these figures out a little more it seems that an extra six people taking simvastatin suffered muscle ‘problems’ than those taking the placebo. This is six people, out of more than ten thousand taking simvastatin. This represents in one thousand seven hundred and eight 1/1708 (over five years). If this were true, then muscle problems should be exceedingly rare. The average GP with about two hundred of their fifteen hundred patients taking a statin should see a patient with muscle pains/problems about once every twenty five years. At this rate, you would not even know you had a problem. Their ‘initial statin’ will almost certainly be Simvastatin 40mg. The drug, and the dose, used in the HPS study. The same drug, and the same dose recommended by the National Institute of Clinical Excellence (NICE). Now, you do not run an expensive advertising campaign without doing a lot of market research first. What the market research must have told AstraZeneca – who make Crestor – is that a lot of people are suffering muscle pains on 40mg simvastatin. Which means that simvastatin, which caused no discernible increase in muscle pains in the clinical study…… actually creates such a massive burden of muscle problems that a pharmaceutical campaign is running a major advertising campaign highlighting this, exact, adverse event. What does this tell us, gentle reader? It tells us many things. Some of which would be considerable slanderous if I said them out loud. 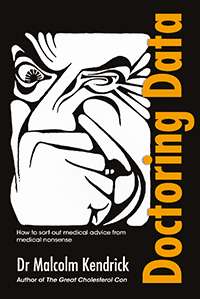 The most outstanding thing it tells me is that, although we have all been repeatedly informed that statins have no more side-effects than placebo, I now find that AstraZeneca encouraging doctors to switch statins due to the burden of side-effects. I would suggest that there comes a point where you have to decide between which idea is right, and which is wrong. With regard to statins, I did this many years ago when I recognised that they cause a gigantic burden of adverse effects, with muscle pain the single most outstanding. I knew that the clinical trials had somehow or another managed to bury this fact. Yet, when I speak to most doctors they continue to tell me that statins have very few side-effects, as do most opinion leaders. This belief, whilst AstraZeneca starts up an advertising campaign based on side-effects reported by doctors. F Scott Fitzgerland would be impressed by all these first class intellects. I just despair of them. 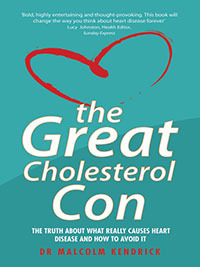 This entry was posted in Dr Malcolm Kendrick and tagged AstraZeneca, cholesterol, clinical trials, doctor, dr. malcolm mckendrick, National Institute of Clinical Excellence, NICE, Pharma, scottish, simvastatin, statin nation, statins, the great cholesterol con on December 21, 2012 by Dr. Malcolm Kendrick.